The thrilling new novel in the #1 New York Times bestselling series. In Israel, a man clutching a backpack searches desperately for a boat. In Minnesota, Virgil Flowers gets a message from Lucas Davenport: You re about to get a visitor. It's an Israeli cop, and she's tailing a man who's smuggled out an extraordinary relic a copper scroll revealing startling details about the man known as King Solomon. He looks at the cop. She's not laughing. As it turns out, there are very bad men chasing the relic, and they don t care who's in the way or what they have to do to get it. Maybe Virgil should start praying. 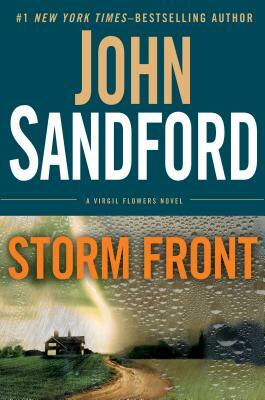 JOHN SANDFORD is the author of twenty-three Prey novels; the Virgil Flowers novels, most recently "Mad River"; and six other books. He lives in California and New Mexico.